Listen Up - Blondfire - Pop! Bang! Boom! 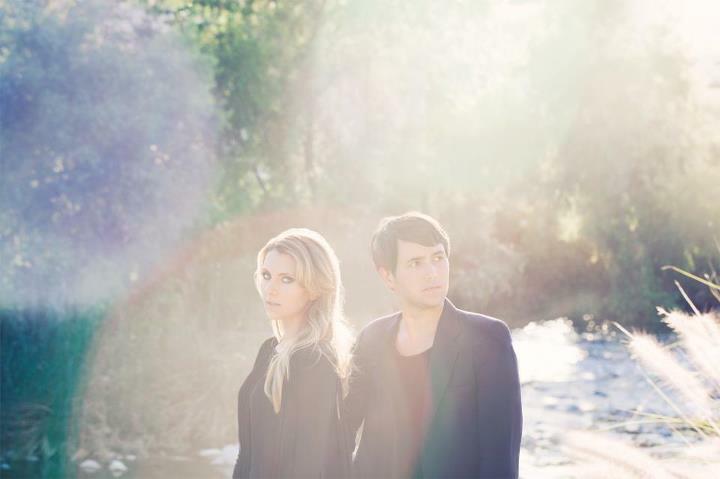 In my search to write about more indie/alternative pop, I stumbled upon New York duo Blondfire. And boy am I glad I did. The two (who are actually brother and sister Bruce and Erica Driscoll) have only a few songs out, but they are some of the most original and catchy alt-pop tracks I’ve heard in a long time. A lot of indie pop sounds the same, and it all tends to blend together and it goes further and further out there until you’re not even sure what it is anymore. Blondfire reel it back in and keep things friendly. While I would still say that they are making music that is off the beaten path and less than mainstream, I think a lot of people will still find them appealing. Its hard to put in words, but think MGMT or The Ting Tings – they were both making pop music that was original and new (and alternative), but it was very open and a lot of people embraced it. Now, I’m not saying that Blondfire are the next MGMT or Ting Tings (or even that they sound like them), but I’m putting them in that category. The two have great voices together, and she reminds me of the lead singer of the Cardigans, Nina Persson. I would compare the band to Canadian indie rock group Metric, which is a very high compliment in my mind. You know what, her voice sounds a lot like the lead singer's of Metric, too. Hrm. Maybe the two women had a baby and made Erica Driscoll (its 2012, two women can have a baby. Get over it). If you would like to know more or tell them you love them, here is Blondfire’s <a href="http://www.facebook.com/blondfire">Facebook</a>. You can also buy their last album (most of which isn’t posted, but you can sample it) or their new single “Where The Kids Are” on <a href="http://www.amazon.com/s/ref=nb_sb_ss_c_1_9?url=search-alias%3Ddigital-music&field-keywords=blondfire&sprefix=Blondfire%2Caps%2C720">Amazon</a>.